The final episode of Game of Thrones’ sixth season airs this Sunday night, and while HBO may not trust us with a 10-word, vague-to-the-point-of-meaningless synopsis of the show, that doesn’t mean we can’t make a few educated guesses of our own. First and foremost I think the war between Cersei and the High Sparrow will finally come to a head. There’s no way Cersei accepts any additional punishment the Faith Militant after what she endured last season, and as her most recent encounter with the Sparrow’s minions showed, she’s basically stopped worrying about the consequences of defying them. The question is whether Tommen is willing to take even harsher steps against his mother for the peace of King’s Landing. Also, by the end of the episode, I do not expect Cersei, the High Sparrow, Tommen, Loras Tyrell, or Margaery to all be alive. Just a hunch. 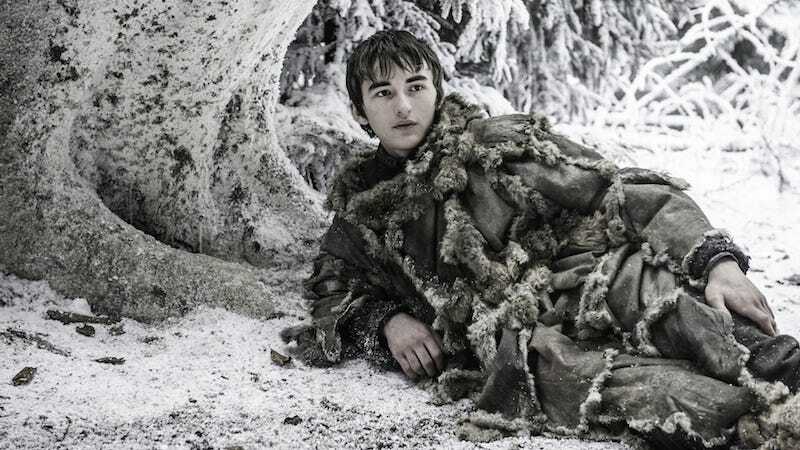 I’m sure we’re going to check in on Bran, who’s been MIA since he and Meera Reed were saved by his late uncle Benjen. And if he shows up, I bet we’re also going to get another vision of the past, revealing the answer to one of GoT’s bigger mysteries—maybe what happened at the top of the Tower of Joy? To be fair, the main reason I think this is because Bran has a lot of past left to witness, and if we indeed only have two more shortened seasons to go, the new Three-Eyed Raven needs to get a move on. Plus, dropping a Bran vision bombshell seems like a surefire way to get people losing their minds over the show until it returns next spring. But those are just my guesses. Share yours in the comments!